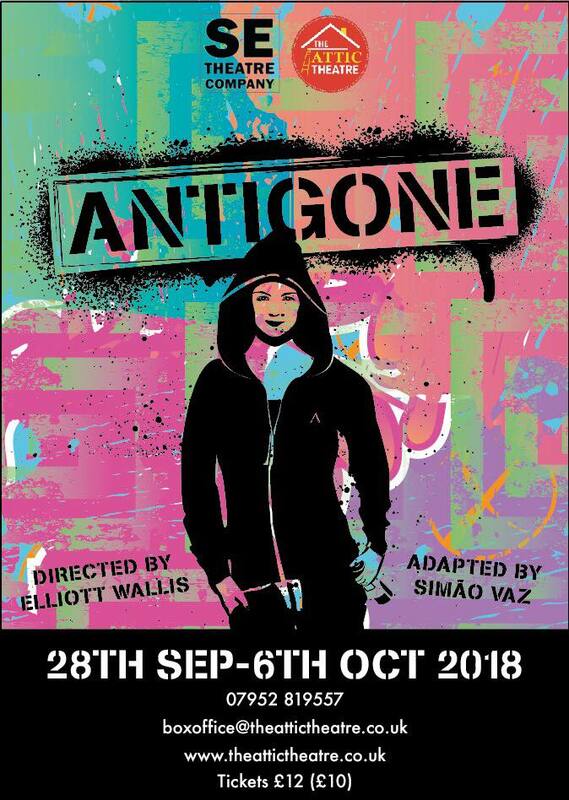 Following their award winning debut production, 'The Course of True Love' SE Theatre Company return to the Attic Theatre with a new version of the Greek Tragedy, Antigone. Oedipus is dead. Thebes still bleeds from the civil war that saw Eteocles and his brother Polynices die at each others hands, fighting on opposite sides. Their uncle, Creon, is now burdened with the crown and the task of returning the nation to its former glory. But when his first decree causes more unrest than peace, some might question if Thebes will ever be great again. Directed by Elliott Wallis, this new adaptation by Simão Vaz brings Sophocles' classic play about a young woman and the hideous decisions made in turbulent times, into a modern, contemporary world.